Putin@war: Volunteer battalions abandoned by Ukrainian army and left to be annihilated? Volunteer battalions abandoned by Ukrainian army and left to be annihilated? For many days the internet community cries out that battalion Donbas is left on its own at Ilovaisk, abandoned by the Ukrainian army, surrounded because of the sudden advance by the Russian regular army and basically no way out for them anymore. 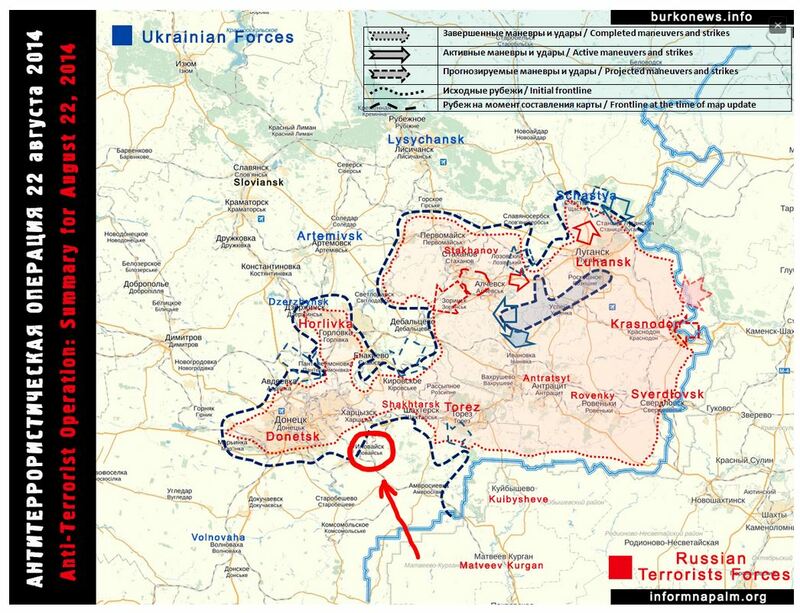 2/3 of #Ilovaysk is under btln "#Donbas" & #Ukraine army ctrl. 1/3 is under btln "Oplot" ctrl. "#Dnepr" & "#Azov" couldn't make to the town. In battle for "#Ilovaysk btln "#Donbas" has 22 PoW - 2 #Kadyrovs, 5 #Russian army soldiers in uniforms, 2 #Slovakians w #Serbian descent. In #Ilovaysk btln "#Donbas" has 2 KIA, #Ukraine army 7 KIA. All WIA evaced. Per commander of battalion "#Donbas" in #Ilovaisk not just random #Russian army officers fight but they are there w different companies. Commander of battalion "#Donbas" on "Why there's no photo evidence of killed #Russian army soldiers?" We are not beasts, we are officers. Commander of battalion "#Donbas" admits the reinforcement arrived is too few, need more but so far none is willing to enter. Dunno why. Battalion "#Donbas" w #Ukraine army still hold #Ilovaisk. 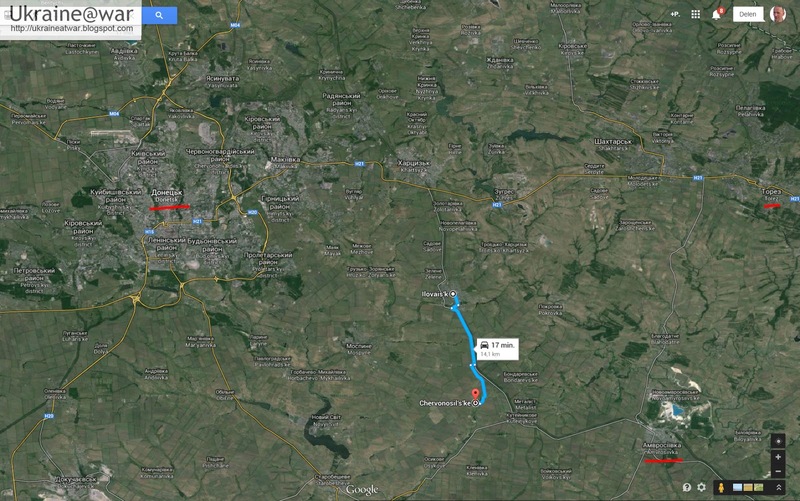 #RUS terrorists try to retreat to #Khartsyzk but artillery cuts the route off. Good news. After battalion "#Donbas" wounded commander harsh complaints in ward HEAVY howitzers has arrived. Need more but its progress. Battalions "#Donbas", "#Dnepr" & #UA in #Ilovaisk say shelled by #Russian army professionals - 3-4 rounds every 30 sec. 3 WIA, 1 KIA. Commander of battalion "#Donbas" officially announced they've been left to die in #Ilvoaisk & no one in MoD or GS plans send any backup. In #Ilovaisk encirclement are battalions "#Donbas", "#Dnepr" + "#Miratvoerts". The situation IS critical. Highly developing. Stay tuned. Commander of battalion "#Donbas" report no backup has reached #Ilovaisk nor will it get there ever. Blames PR teams of generals. Abt backup to #Ilovaisk. Despite promises NO BACKUP in 14 days. Despite BS ATO GS talks abt "backup on the way" reality "It's their problem"
This is right now. This is over the phone. BREAKING #Russian regular army that encircled #Ilovaisk gave ultimatum to "#Donbas" & others lay down weapons by 20:00 or be eliminated. #Ukraine army artillery tries to support volunteer battalions @ #Ilovaisk but it's a bit too far & mainly for distraction / intimidation. Per btln "#Donas" fighter Moskita "If there won't be any backup they are doomed. Won't last long." They are pinned down in #Красносельск. In #Красносельск w "#Donbas" are pinned down btlns "#Dnepr1", "#Krivbas", "#Aidar", "#Azov", "#Миратворец", "#IvanoFrankovsk", "#Volyn". These are all volunteer battalions!! BREAKING Btln "#Donbas" in FB reports they can't give live updates as the fighters keep radio silence to come out double encirclement. Btln "#Donbas" on official FB page cnfrms KIA & WIA but state there's hope too. Very dark day for all #ATO & fighters. BREAKING Btln "#Donbas" PR team - #Donbas, #Dnepr et al are still encircled. 1st company cmndr went for negot w Russians -he's now detained. Now #Russian army 31st VDV brigade gave new deadline to ##Donbas et al @ ##Красносельск -surrender by 6:00. Seems can't operate in darkness. BREAKING UPDATE Battalion "#Donbas" et al have 40 WIA. Number of KIA unknown, signal got lost. My conclusion is that it looks like the Ukrainian army (or elements within it) deliberately seek the total destruction of the volunteer battalions.